New job descriptions are born in the wake of new technologies. The emergence of book-making brought us more than jobs for creating and selling books—it also led to the emergence of book reviewers and librarians to make sense of and categorize them. The arrival of automobiles led to highway planners, auto-safety experts, and the testers behind Consumer Reports. Airplanes brought us air-traffic controllers, and on it goes. Now, as humankind absorbs two decades with the Web and one decade of touchscreens and on-the-go Internet, many new positions are taking shape, one of which could have a significant impact on how children and their families learn: the media mentor. 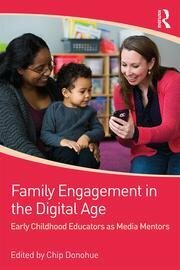 Media mentors are the subject of two new books out this fall: Family Engagement in the Digital Age: Early Childhood Educators at Media Mentors, edited by Chip Donohue, and Media Mentors: A Guide for Working with Children and Families, by Claudia Haines, Cen Campbell, and the Association for Library Service to Children. Both books make the case for investing more energy, attention, and resources into supporting these new positions. They provide the first outlines of what these jobs could and should look like, and how they are likely to emerge from existing roles such as that of the children’s librarian or the family engagement specialist. In Donohue’s book, 28 writers with backgrounds in early childhood education and family engagement explain the need for mentorship and show what it can look like across a variety of settings, in libraries, homes, child care and pre-K centers, and schools. In Haines and Campbell’s book, the focus is on youth librarians and media specialists who are already recognized and trained to provide support to families when they search for media (until recently, primarily printed books) that tell stories, impart knowledge, and spark insight. Over the past decade, as a reporter and research translator, I have watched these roles emerging. With every interview on how media affects children, I’ve relied more and more on these on-the-ground gurus who are helping children and families to make sense of the onslaught of media and new tools. But it wasn’t until a few years ago that I realized how much the educators and librarians I interviewed were truly stretching out into new and yet-unnamed jobs and careers. Meanwhile, in a series of projects here at New America with Michael H. Levine and the Joan Ganz Cooney Center, we started finding examples of pioneers in early childhood programs who understood the need for these new roles. The more we saw the complexity of navigating the digital world, the more I could see that these new positions needed a name. “Media mentor” came to my mind, and in a TED Talk for TEDxMid-Atlantic in the fall of 2013, I tested the phrase. A year and a half later, the Association of Library Services for Children, which is part of the American Library Association and has emerged as one of the most forward-thinking organizations in this space, published a white paper that catapulted the issue to the top of their agenda: Media Mentorship in Libraries Serving Youth. Why are media mentors so crucial? 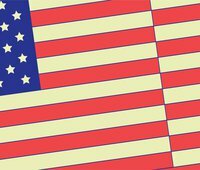 As parents and educators find themselves awash in new technologies and interactive media, many report feeling overwhelmed and in need of guidance to help them see how to use media in joint learning moments with their children or to navigate the “digital wild west” of the app marketplace. (Hence the title of one of our first reports with the Cooney Center, Pioneering Literacy in the Digital Wild West.) Add to that the complexity of working within multiple disconnected systems of early education and trying to provide support to a growing population of dual language learners, and the enormity of the task becomes clear. As Amaya Garcia (my colleague here at New America) and Karen Nemeth write in Donohue’s book, mentors are needed to communicate with families who speak different languages, to help families make “wise technology choices for and with their children,” and to help families use new technological tools to strengthen their participation in school and in the community. So now the hard work begins. 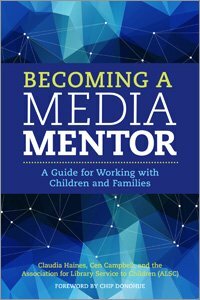 Simply saying “we need media mentors” is not the same as making sure these positions become as ubiquitous as today’s air-traffic controllers or auto-safety experts. They will need an infrastructure that supports their emergence around the country and ensures they become part of the fabric of 21st century education. Big questions are now emerging on exactly who these people are, what fields they should hail from, what training they need, who exactly they are mentoring (children or families or educators who work with children and families? ), and what exactly they are guiding people to do (are they helping parents and children to be choosy, are they modeling what it looks like to have a socially interactive and parent-child engagement with new media, are they teaching youth how to use new tools to create things, are they focused on how to use search engines and digital libraries?). In the final chapter of Family Engagement in the Digital Age, Michael Levine and I offer recommendations for how to build a policy and research infrastructure to support these efforts. Watch for a summary of that chapter in an upcoming blog post.